Arvind Factory Outlet near RV College on Mysore Road is for anyone looking for a wardrobe update on a budget. You can score denim, shirts, and even blazers for a steal, enough for a year! It's the go-to store for bargain hunters and those looking to score high-end brands at discounted prices. The outlet is like a godown of sorts filled with stacks and racks of apparel for men and women. 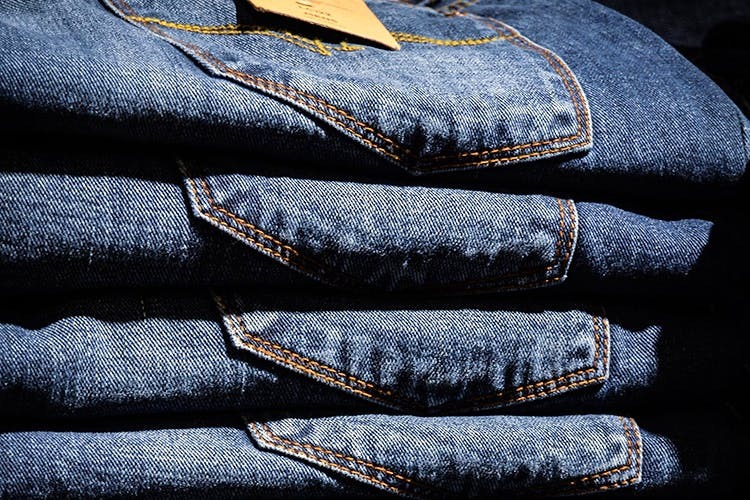 Lads, this is a denim haven so be sure to pick up pairs of jeans by the handful. The average price for men’s denim is around INR 600 while for the ladies it’s roughly around INR 300. Told you, you get them for a steal! Formal and semi-formal shirts are available here too with the average price at around INR 600. Oh, and ladies, if you are looking for tees, you can score them at dirt cheap prices — INR 200 is the average price. Occasionally, the store also stocks up on blazers of all sizes and colours, and these are usually priced around INR 200. The collection isn't the latest and sometimes the card machine is out of order. So carry change as much as possible as the nearest ATM is also a bit far. The store is open on all days from 11 am to 5:30 pm and since RV College is a bit far from well, wherever you are, you might want to plan a bit (we are thinking a day trip) before you head out here and shop till you drop.